Filomena needs no deal site to announce its existence to the world. It needs no clever gags or newspaper advertisements. The marketing is just past its window. 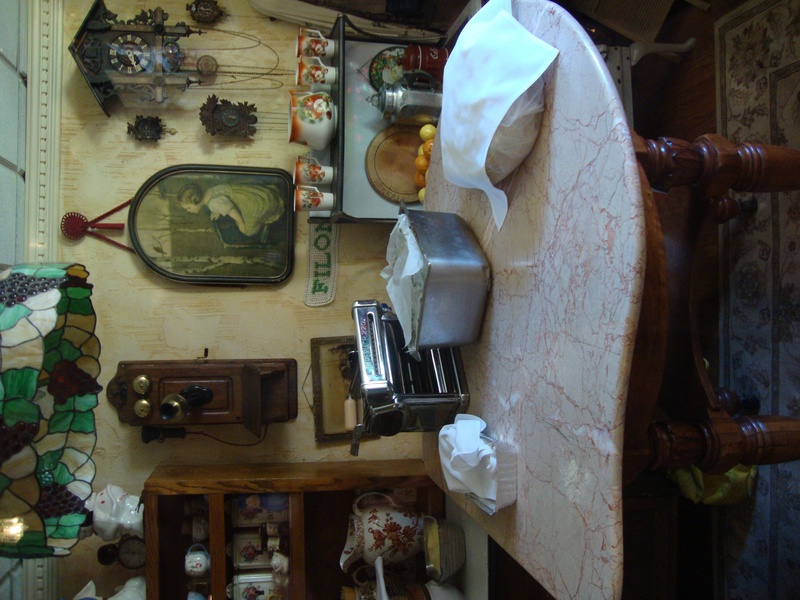 An elderly woman donning a fresh white embroidered apron and cap , rolling out pasta with a wooden pin. Sandwiched between Ching Ching CHA tea house and Ralph Lauren Polo, Filomena lacks a large external presence. 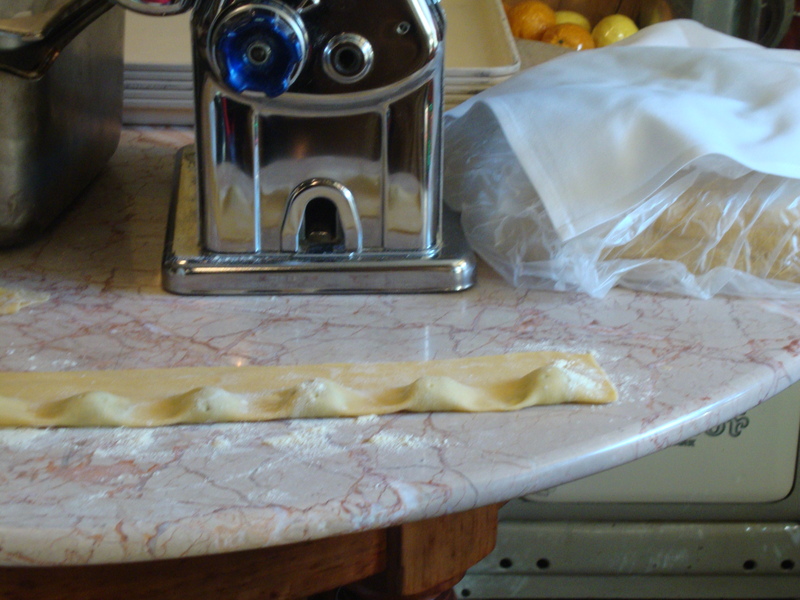 The movement of the pasta mama in the window, beating and cranking out eggy pasta dough into fine edible strands or neat doughy pockets catches passers-by’s attention. 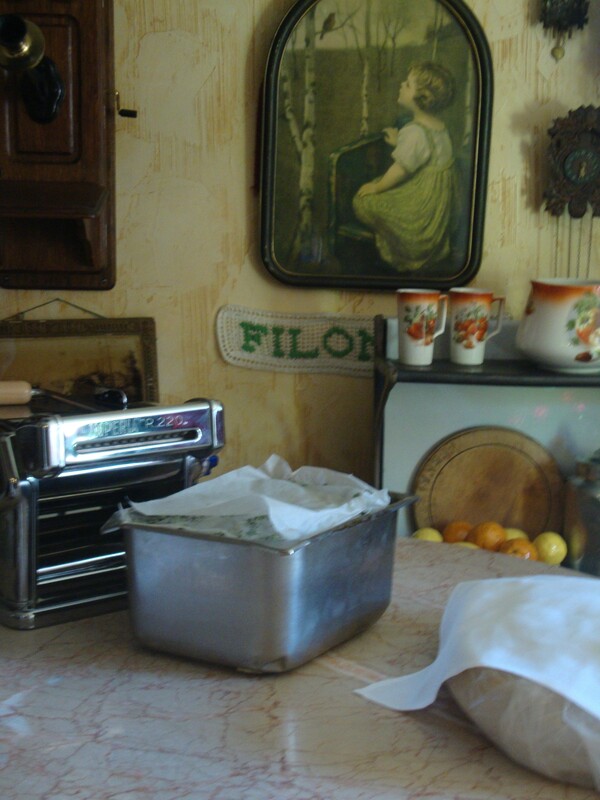 She works in a small, but shining kitchen, with creamy white marble table tops topped with powdery flour, pasta crank, a basket of citrus fruits, as earthy ceramic mugs decorate worn wooden shelves below the antiquated telephones and cuckoo clock studded walls. Charming. The rest from here on out is painfully disappointing. Past the the dreamy country kitchen that draws patrons in, the rest of Filomena looks like Christmas threw up in Georgetown. No wonder the dining room is underground. Gaudy Christmas decorations and tacky tinsel crowd the tables. A larger-than-life Christmas tree’s branches slaps diners in the face as they attempt to eat their overly rich pasta dishes. 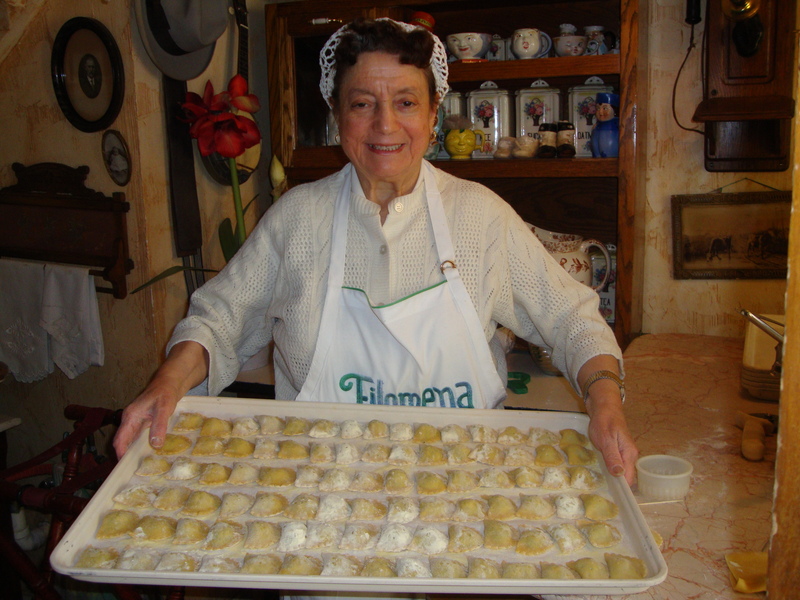 The pasta alone might have given Filomena a fighting chance. But drenched in nauseating cream sauces, the pasta and Filomena’s chance literally drowns. The texture of the gnocchi was divine, the taste-cringe worthy. The salad bar that accompanies every meal was a sad, lifeless looking spread-iceberg lettuce, bottled ranch salad dressing, mealy tomatoes, sweating egg and potato salads. Like a quick-and-dirty picnic. According to its description, all the “foodies” rave about the steelhead salmone. The salmon gave way to my knife like butter, and tasted like a stick of one too.The fusilli ala pesto claims to be a shrimp and chicken breast simmered in a pesto sauce of “…pureed basil, olive oil, fresh garlic and walnuts with a touch of cream and parmigiana cheese over spinach fusilli pasta.” The pasta was green and so was I after eating it. A touch of cream and cheese was more akin to plain cream and cheese with added green food coloring. But even after scraping away the creamy concoctions ( and terrible decor), the pasta, simply unadorned with a true touch of flavoring, stole the show. So lovingly made by the signora upstairs, Filomena should take their own cue and leave their pasta as easy as they left their marketing: simple.